Hey guys, I’m back with another post sponsored by Naked Juice. Last month, I talked about the Naked Juice/Smoothie with kale and veggies. This month we are talking all things beets. I’ll be honest, I’m not a huge beet fan. They intimidate me in the grocery store so I never really took the time to cook with one, until today. It was time to break out of my comfort zone. 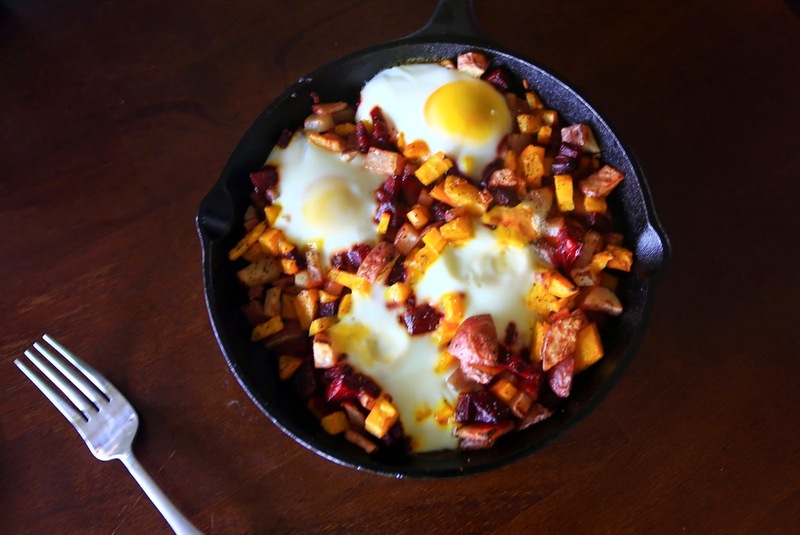 I love cooking breakfast especially so here it is: Beet Hash! Drew added cheese and hot sauce to the top as well. Dice up the beets and potatoes and drizzle with oil, salt and pepper. Place on a baking sheet or skillet and put in the oven at 375 for 30 min or until roasted. Then create little wells and drop your eggs in. Cook until egg whites are solid. Top with salt and pepper to taste and serve! 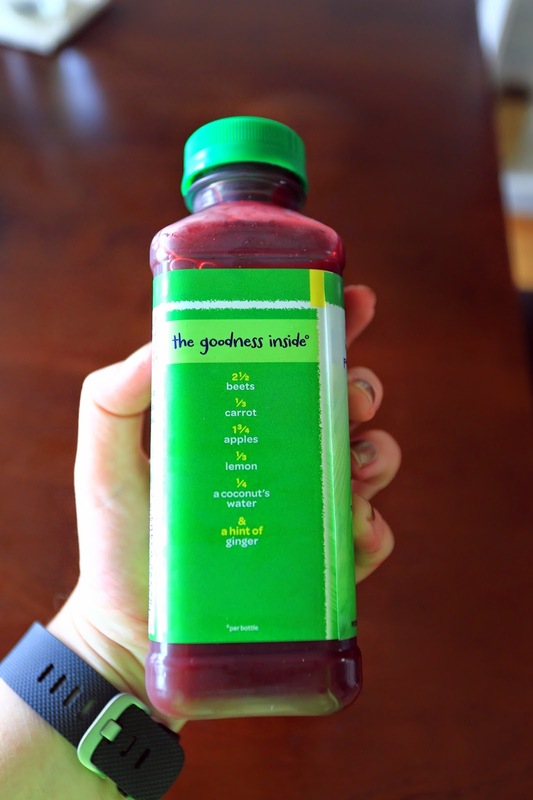 If you are on the go and looking to add some beets to your diet, you can also grab a Naked Bright Beets juice. 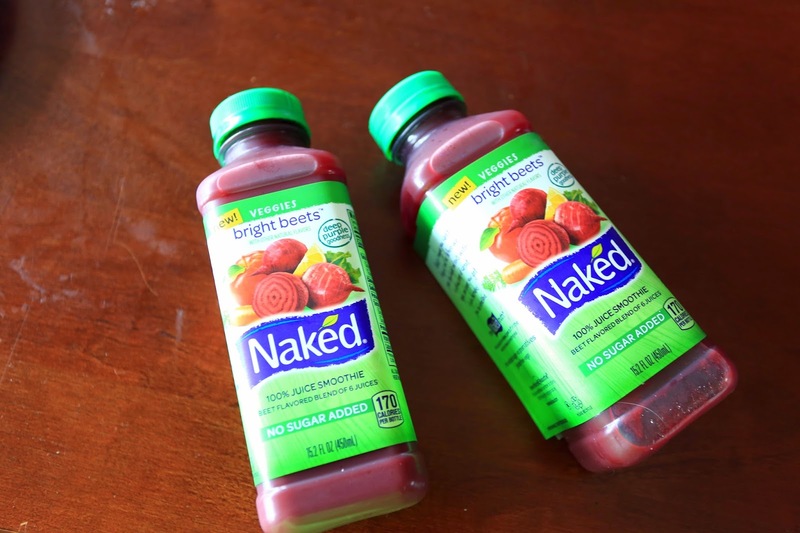 Naked Bright Beets has a ton of healthy vitamins to keep you going throughout the day. Naked Juice has no added sugars or preservatives. Naked juice sent me some Bright Beets and they are delish- not too sweet and refreshing. This has been a sponsored post, but the opinions are my own. so i am obsessed with beets! never thought i'd go over to the beet side, but someone served me roasted beets in a salad and now i can literally just eat whole beets with nothing else. yum! 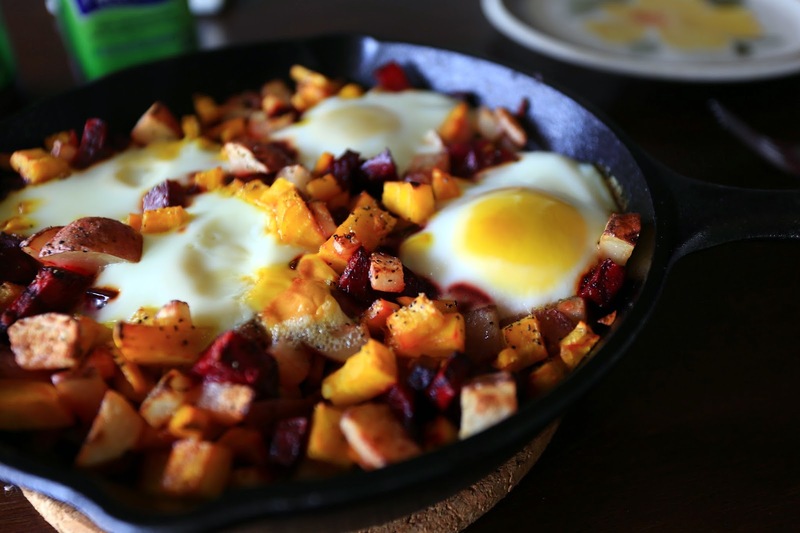 I am the same way and am not really a fan of beets, but putting them into a hash sounds like a great way to soak up all of those great vitamins! Looks tasty! I discovered beets in the past couple years, and love them now too, though I hate cutting them up because the red juice just gets **everywhere**. 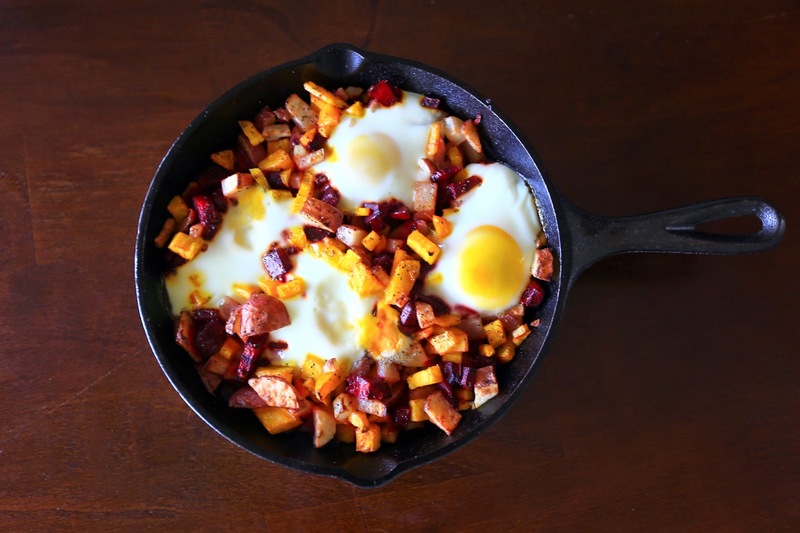 I love hashes though – why wouldn't you top them with cheese and hot sauce, duh! 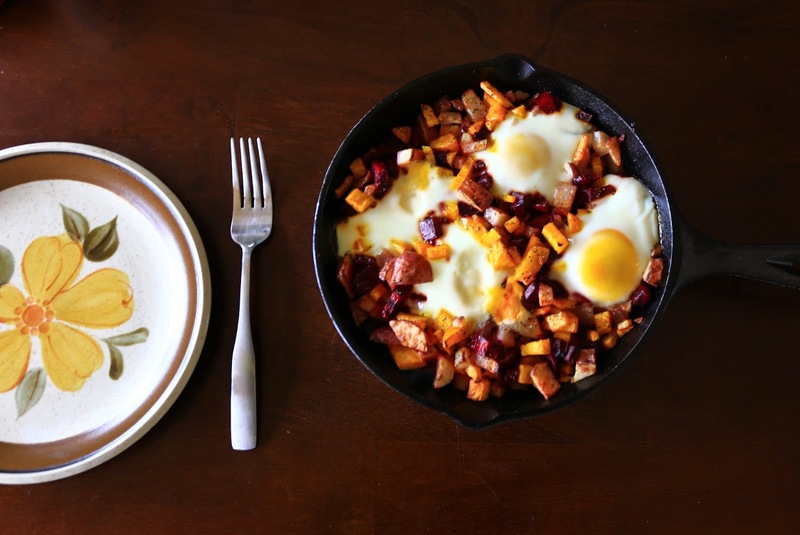 That is one yummy looking hash! This looks delicious!! 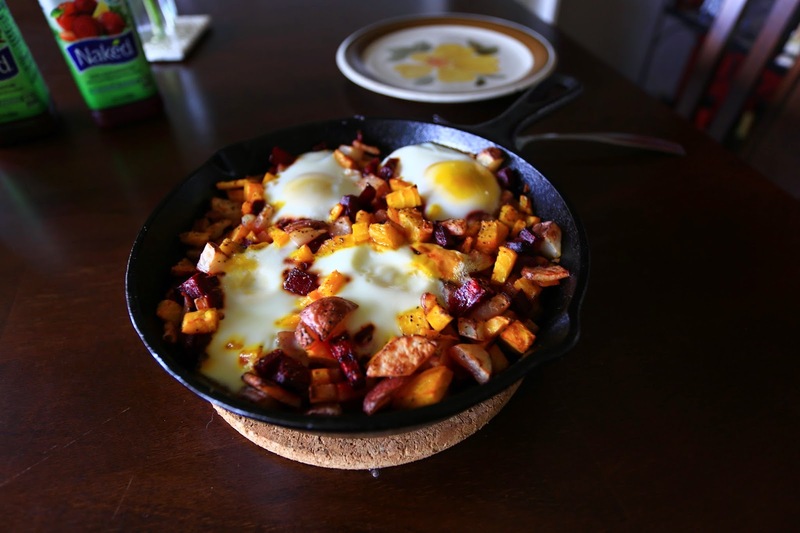 I love cooking with beets and hadn't thought to put them in a breakfast hash! Nice work! Strongly resisting the urge to make a "Just Beet It" pun. 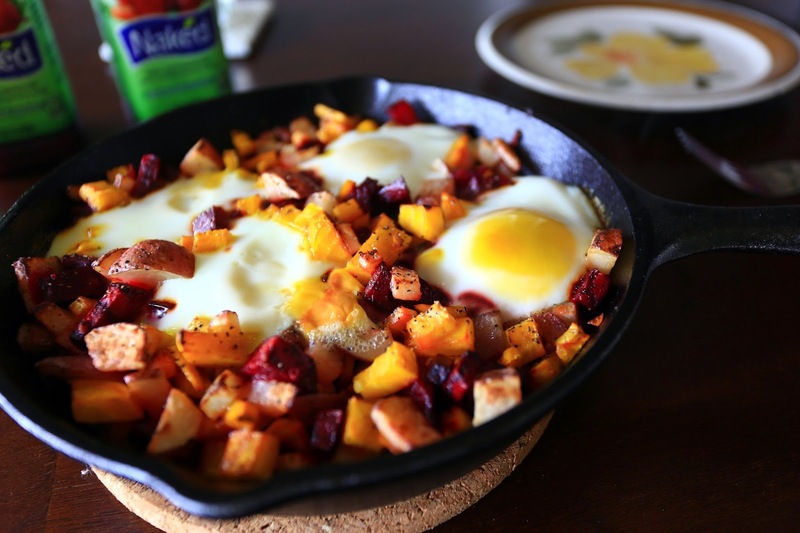 That beet hash looks real yummy! I love roasted beets. 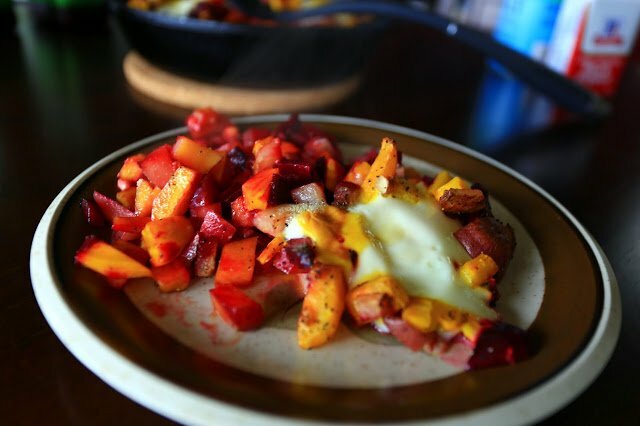 I think they are delicious but my friend always swears beets taste like dirt, so you're not alone in your beet dislike, but glad you found a recipe or two that you now like! That looks like a delightful way to start the morning! 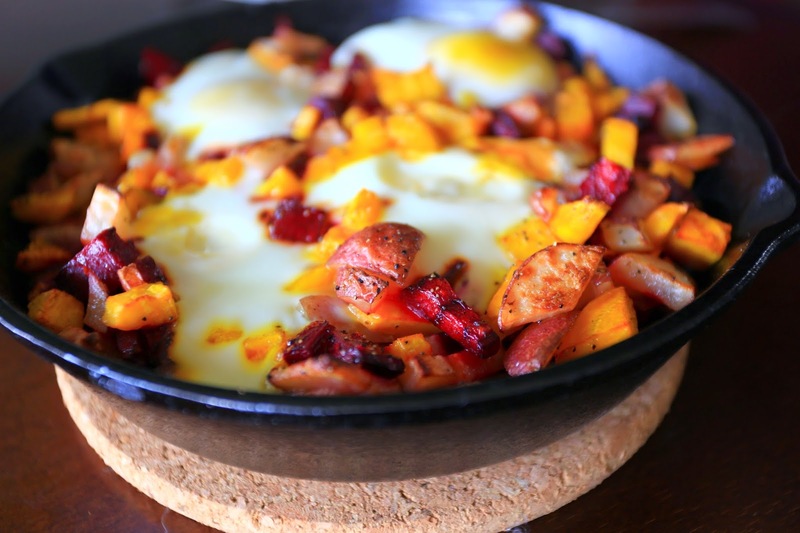 And I love that cast iron skillet!!! I love beets, usually picked or roasted and served with all the goat cheese!! I've never though of adding them to hash but it sounds (and looks) delicious! !